Are you in need of sewer replacement? When you have trouble with your sewer line, it can cause a domino effect that can be a problem not only for you, but people around you too. Along with the unpleasant smells, you may have to block off a large area in order to get the equipment in to fix the problem. And this could be prolonged if you have large sections that need to be replaced. Luckily, there may be better options. When you choose The Excavators, LLC for sewer replacement in Portland, we’ll do whatever we can to minimize the disruption for both you and your community. Pipe bursting or pipe lining may be a valid option depending on the extent and type of the damage. In some situations, traditional excavation might be required. If so, we’ll make sure to do it quickly. Have a septic system? 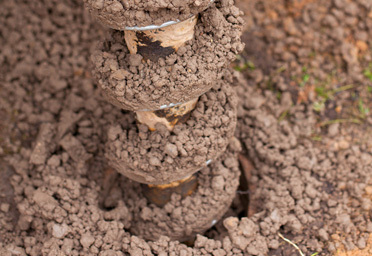 We’re also familiar with septic systems and how to properly repair those. We work with inspectors and city planners to limit the disruption to the surrounding community. Sometimes when we come to do a sewer line replacement job, we notice that a sewer repair may be enough. If we find that it will be more cost-effective to do a repair rather than a replacement, we’ll be sure to let you know! When you have something as extensive as sewer replacement done, you want to make sure that it will last. With us, we always test everything extensively to double and triple-check that nothing will go wrong. And if you notice a problem later down the line, simply give us a call, and we’ll see what we can do to make it right. Customer satisfaction is our highest priority. So give us a call or contact us today for sewer replacement in Portland done right!